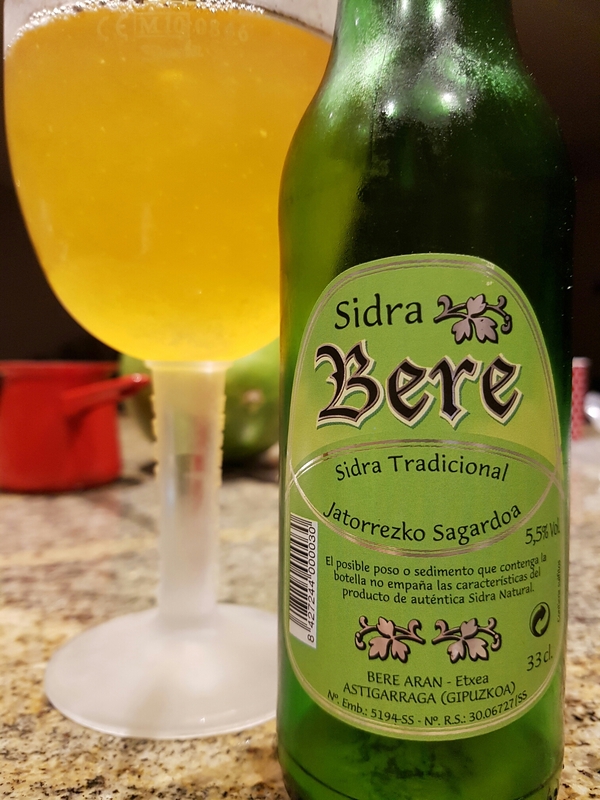 Sidra Bere – Sidreria Bereziartua (Astigarraga, Spain) | Justintoxicated. Blend of natural wild apples such as Txalaka, Urtebia, Judeline and Judor. This cider is produced using advanced methods while maintaining tradition and followed by fermentation in wooden and stainless steel vats for a minimum of 4 months. Visual: Pours opaque golden orange with no head and just a few bubbles, settled yeast in the bottle. Summary: Big tangy sourness in this one; it reminds me of sour/wild ales but with a brighter apple edginess. Quite woody and natural-tasting, a lot of tartness as well. Good complex textures, decent body and flavour, not that sugar aggressive which is a nice changeup, especially for ciders.